Say cheese! Photo Booths are back - only now they are bigger, faster and a whole lot more fun! Whether you opt for an open-air booth that engages the whole crowd, or go with our extra large enclosed booths, we can guarantee a night filled with laugh-out-loud memories for everyone. 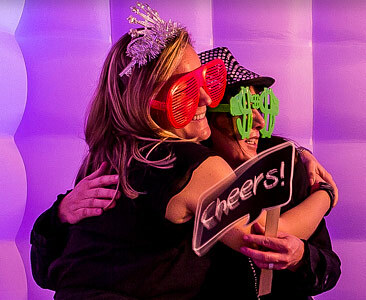 Don't miss out, let Creative Photo Booths capture those unforgettable moments at your next special event. We have the perfect booth for every occasion, corporate events, weddings, birthday parties, Bar and Bat Mitzvahs! Please don't hesitate to call or email us with any questions you may have. 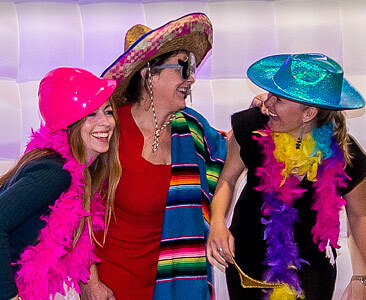 After owning and operating one of Southern California's largest and most established Reunion and Event planning company for more than 15 years, Creative Photo Booths President and CEO, Wanda Diroll knew just what her events were missing. Instead of settling for one of the few outside photo booth companies who could never seem to get it right, Wanda set out to design and create her own, offering photo booths that couldn't be found anywhere else. Six years later, Creative Photo Booths offers some of the most unique photo booths, and one of the first in United States to offer the cutting-edge Mirror Me Booth. Based in Torrance, California, Creative Photo Booths services the Los Angeles area and other select regions of Southern California. Since beginning, we have brought laughter and memories to over 1,100 events - including private parties, corporate events, and reunions. 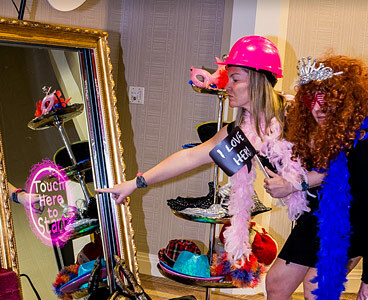 Experience the fun for yourself, and book Creative Photo Booths for your upcoming event! Don't Wait - Our Booths Go Quick! For prices and availability, fill out the form below or call us at 800-700-6607 today!